Does Nintendo have another hit on its hands? Cast your mind back ten years to 2006, when the Nintendo Wii first arrived on the scene - a slightly odd-looking games console that wasn't as powerful as the big-name machines made by Microsoft and Sony but which had advantages of its own. Sound familiar? Now we're just a few months away from the March 2017 launch of the Nintendo Switch, and if the Switch manages the same sort of success as the Wii did then Nintendo is likely to be very happy indeed. Here are some of the key reasons we think that's on the cards. While there's been no official word about how much the Nintendo Switch will cost (an announcement is due in January), the rumour is that it's going to come in around the £199.99 mark in the UK and from $250 in the US - which is a very tempting price for casual and serious gamers alike. That's some way south of the Xbox One S and the PS4 Pro, which both start at £349/$399 - just like the Wii before it, it looks like the Switch is positioning itself as a genuine alternative, in price as well as anything else. If those prices turn out to be true then it's the kind of games machine people might pick up on a whim or get as a present to the family, which again was a niche that the Wii filled nicely. Serious gamers might sniff at the Switch's less impressive specs (which we still don't know much about) but there are plenty of part-time gamers out there looking for a cheaper device to play around on. The barrier to entry for the Nintendo Wii was very low - around the world, families joined together in the living room to play games of Wii tennis or Wii bowling. Grandma and grandad could get involved even if they'd never picked up a gamepad before, and it's just possible the Switch is going to repeat the trick. We've only got one video promo to go off at the moment, of course, but again the emphasis seems to be on fun and group involvement, even if there aren't any pensioners on show - note how many people just pick up a controller and start playing. The video shows several occasions where groups of friends start gaming together, following the Wii's lead in terms of communal experiences, gaming that's better when it's shared with others, and the portability of the device could be another big factor in its favour - the Switch will have the ability to go anywhere, unlike the PS4, the Xbox One and indeed the Wii. Perhaps the Switch experience is going to have more in common with mobile gaming than we might think - gaming where accessibility and fun are the priorities. We've already alluded to this in the pricing section above, but part of the Wii's success was carving out its own niche rather than taking on the consoles from Sony and Microsoft directly - the lower pricing and the motion controllers meant that the Wii was a different option to the PlayStation or Xbox. Put the Wii head-to-head against a 'serious' games console in a direct comparison and it didn't come off too well, but on the other hand there were plenty of people who weren't interested in heavyweight consoles but did pick up one of Nintendo's gaming machines. The question is, can the Switch repeat the trick? We've already talked about the lower price, the get-your-friends-round-and-game aspect, and the portability of the Switch that makes it the sort of device you would pick up instead of - or maybe as well as - a console from Sony or Microsoft. 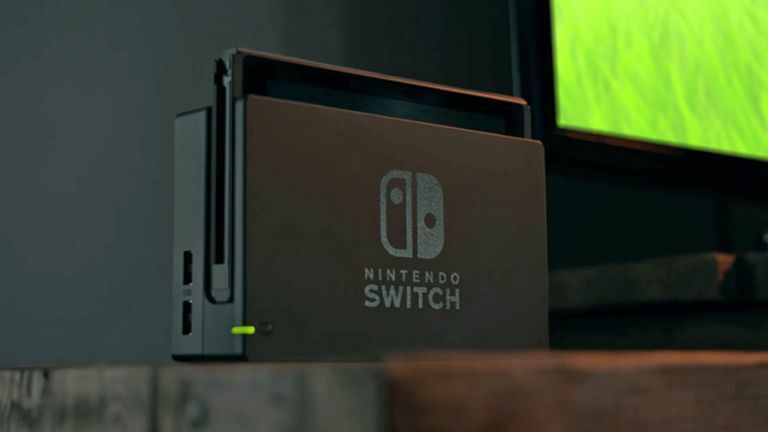 Details of the Nintendo Switch are still scarce, but it doesn't look like it's going to try and compete with the PS4 Pro or the Xbox One S in terms of frame rate, 4K resolution or graphics quality - and that might be a very smart move indeed. Gamers have been carefully picking through the Nintendo Switch preview video, a sign of just how interested people are in the games available for it - and that's another way that Nintendo can take on the big boys of Sony and Microsoft. Nintendo has a classic stable of games like no other, from Zelda to Mario, and it can use it to whip up interest in the Switch (and keep it going for years to come). This wasn't something the Wii was particularly known for, but thanks to its alternative control system, there were certain games you couldn't get anywhere else, and games which particularly suited the Wii setup. Based on what we've seen about the games that are coming with the Switch - including The Elder Scrolls V: Skyrim and Mario Kart - it looks like Nintendo knows just how important games are going to be for its new console device, and the right titles will draw in extra droves of happy gamers. The Switch and the Wii are two different devices, of course, and 2016 is very different to 2006, but we think Nintendo could well have another hit on its hands by following large parts of the same template.